Do you ever use up all the herbs you buy? They tend to either dry up or wilt on me that I almost always have to throw away the left-overs (I know, I know… I can always freeze them – my excuse? I have yet to buy those ice trays). This salad was inspired by the need to use up the leftover dill I had wilting away on my crisper. And because canned tuna is my go to when I find myself in such a dilemma (see here and here), I obviously went that route again. And I am impressed with how this turned out, satisfying, hearty salad perfect as a main lunch or dinner meal. 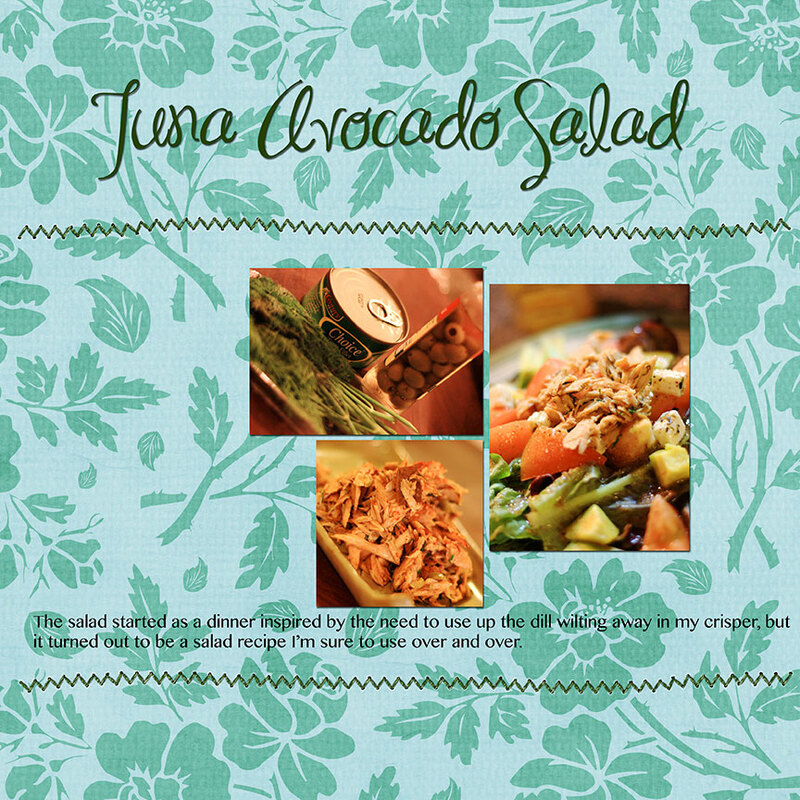 The tuna can be made ahead of time and kept for other uses, making this salad the easiest ever. This is something I will be making over and over during avocado season. With avocado’s good for you fats and the high source of protein that tuna provides, this is not only the easiest thing ever but the benefits that these yields make this real winner on all aspect. Yes? 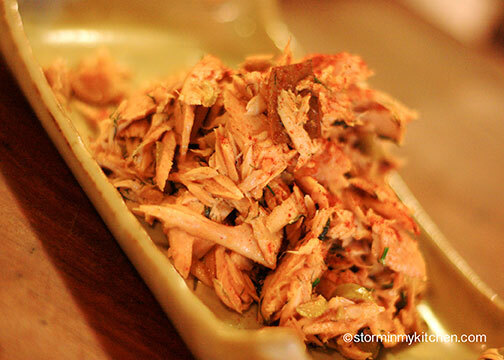 Drain tuna, flake apart slight with a fork and add to bowl with the chopped dill, olives, and the pimenton. Stir very gently to combine. Whisk together lemon juice, balsamic vinegar, Dijon mustard and a pinch of salt and cracked pepper on a small bowl until well combined. Add honey to taste and slowly whisk in olive oil until well combined. 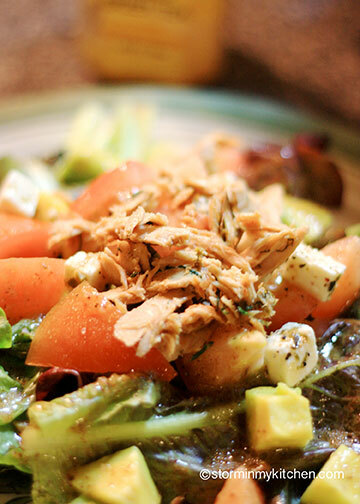 Arrange salad greens, topped with tuna, feta, avocado and tomatoes. Drizzle with dressing just to coat. You are currently viewing the archives for July, 2014 at Storm In My Kitchen.